Sonia Sotomayor, the first Latina Supreme Court Justice, is the subject of the sixteenth picture book in the New York Times bestselling Ordinary People Change the World series. As a child, Sonia loved to read — especially Nancy Drew mysteries! When she saw Perry Mason on TV, she knew she wanted to be a lawyer. Many people thought Latina girls didn't grow up to be lawyers, and she faced other obstacles, too, including a diabetes diagnosis at the age of 9. Fortunately, she had people who believed in her — people who taught her to believe in herself. And because of that, she reached the highest court in the nation. 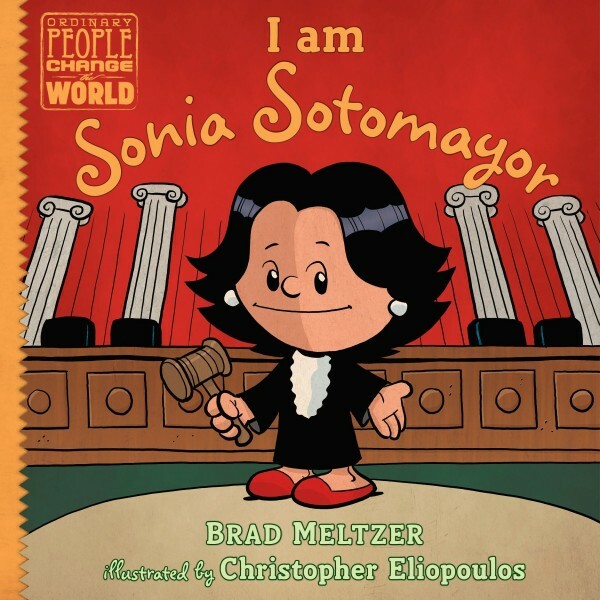 This friendly, fun biography series focuses on the traits that made our heroes great — the traits that kids can aspire to in order to live heroically themselves. A lively, conversational tone and colorful illustrations draw kids in, while a detailed timeline and photos at the back encourage them to learn more — and inspire them to see how they too can change the world.